Diversification can be viewed in terms of its effect on an investors risk/return profile. A portfolio which is 100% invested in the shares of one company is 100% exposed to the risks and returns of that holding. However, a portfolio which combines a variety of different investments can have the effect of reducing the overall risk of the portfolio by spreading this risk across a range of companies. Diversification is important because individual securities, sectors, regions or asset classes may perform strongly in one year and poorly in the next. A diversified approach allows an investor to capture the broader performance of multiple assets. Rebalancing benefits arise as volatility rises so the greatest benefits arise during periods like 2008/2009 when there were significant movements in markets. Clearly, diversification does not assure a profit or protect against a loss, but it limits the damage inflicted by large downside events. The benefits of rebalancing can only be achieved by actually implementing a rebalancing strategy which Roban Financial have done in introducing and monitoring our own Roban Portfolios. 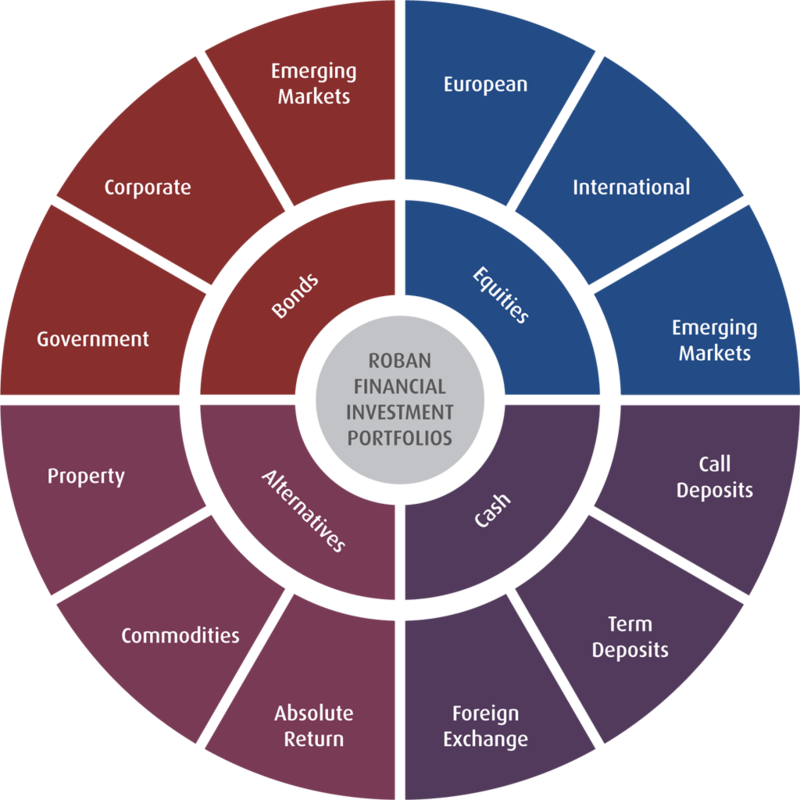 To remain consistent with the asset allocation guidelines established by Roban Financial, each constituent of the respective portfolios will be reviewed on a yearly basis and rebalanced back to the normal weighting. A re-balancing meeting for the funds should not, apart from exceptional circumstances, take place more frequently than once a year to avoid obsessing over short term fund performance.